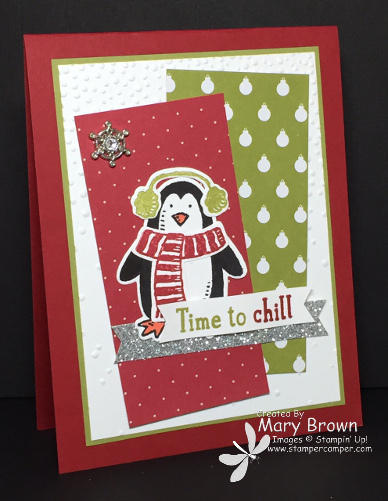 You know…I was looking through my posts and realized that I never posted my card from the Control Freak Holiday Mini swap! Can you believe it! I had decided to use the Snow Place set and matching Framelits for my swap. I love that with the paper stack you can easily do multiples of cards since you have extra of the prints in the pack. That made it REALLY easy for me to do a bunch of these! Add Winter Wonderland Embellishment to finish it off. This entry was posted in Christmas, Holiday Mini and tagged Snow Place. Bookmark the permalink.